Samantha Giordano is a paralegal in the firm’s real estate section, working on a wide range of commercial real estate matters, including commercial acquisition and sale transactions, complex financing transactions, and title transactions involving retail shopping centers, residential subdivisions, industrial properties, and office complexes. She specializes in the preparation of settlement and title insurance documents and the coordination of settlement and due diligence matters. Samantha graduated from the University of Delaware with a B.A. in Biological Science in 2017. 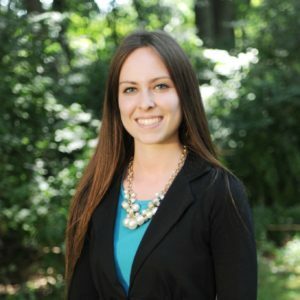 During her time as an undergraduate, Samantha worked at the firm as a legal assistant and summer intern, gaining valuable exposure to the firm’s practice areas, clients, and projects. • University of Delaware Undergraduate, B.A.